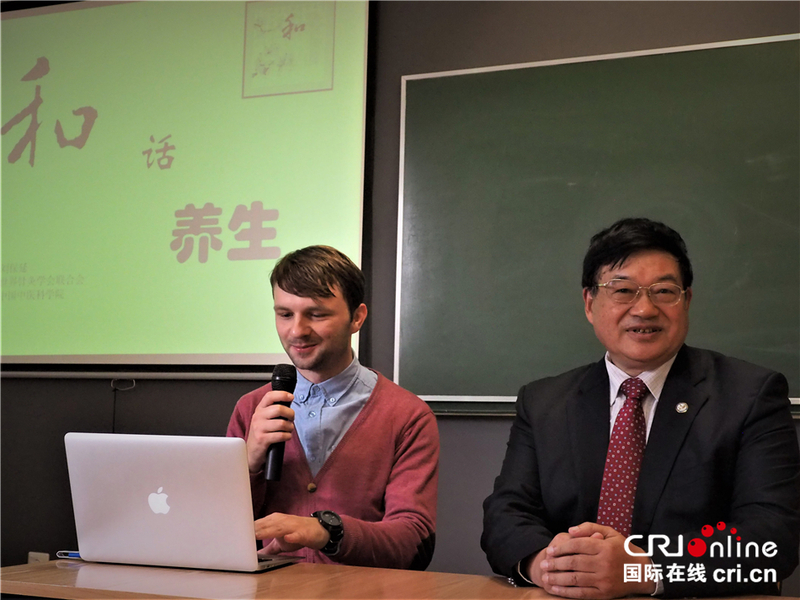 On October 10, 2017, WFAS B&R tour of acupuncture-moxibustion -"Exhibition of TCM acupuncture-moxibustion" Intangible Cultural Heritage of Humanity & Lecture Hall of Health Preservation -"Impression of TCM"- was successfully held in Vistula University, Warsaw, capital of Poland. Co-hosted by WFAS, China Academy of Chinese Medical Sciences (CACMS) and Confucius Institute of Krakow under the support of State Administration of Traditional Chinese Medicine (SATCM), this activity was co-undertaken by Confucius Classroom of Vistula University (Poland), Beijing Tong Ren Tang (Poland) Co., Ltd., Poland Scientific Organization and Management Society, China Association for Acupuncture and Moxibustion (CAAM), China Association of Traditional Chinese Medicine (CATCM) and Fohow High-tech Company (Poland). 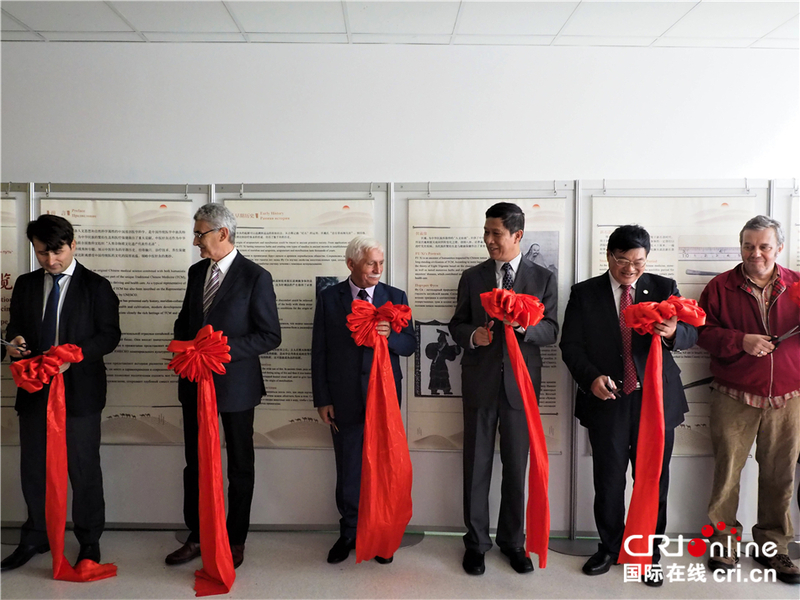 Xu Jian, Ambassador of China to Poland (right 3), Liu Baoyan, President of WFAS (right 2) and Jablonski, Secretary General of Poland Scientific Organization and Management Society (right 4) cutting the ribbon at the opening ceremony. 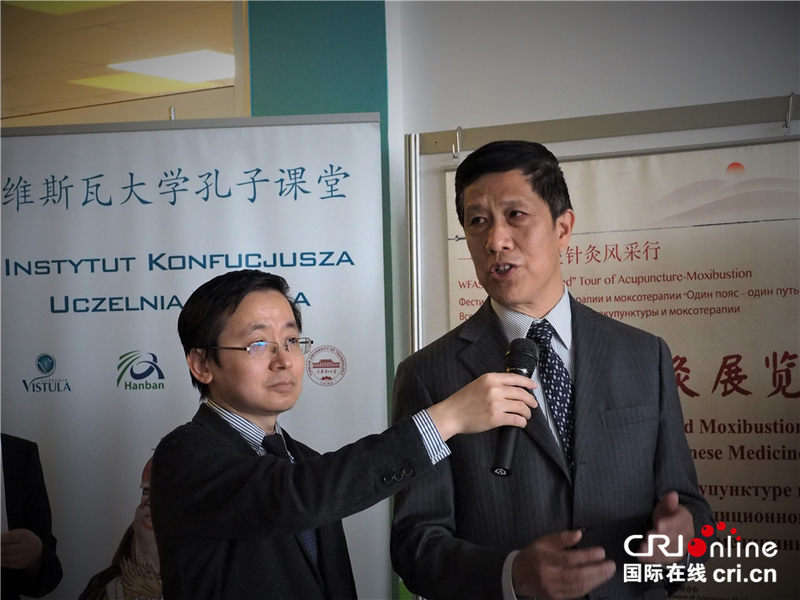 Xu Jian, Ambassador of China to Poland expressed at the opening ceremony that acupuncture-moxibustion (ACU-MOX) is being accepted by plenty of countries across the world. Although TCM&ACU-MOX was not strange to Polish people and there were TCM practitioners treating diseases with ACU-MOX in Poland, generally the Polish's understandings of TCM were not enough. 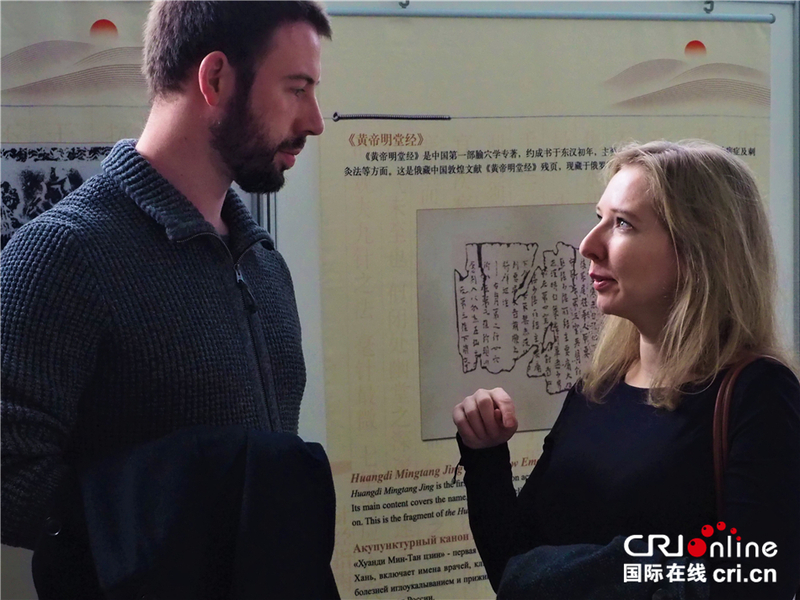 Exhibitiosn and academic exchange activities related to TCM&ACU-MOX will deepen Polish's understanding of Chinese history, culture and TCM&ACU-MOX, promote the mutual understanding between Polish and Chinese, enrich the connotations of cooperation between China and Poland under the framework of "the Belt and Road". Xu Jian, Ambassador of China to Poland, addressing at the opening ceremony. Liu Baoyan, President of WFAS and Chairman of CAAM pointed that ACU-MOX, with a history of more than 2000 years, was widely used in all over the world. It has been used to treat and alleviate over 500 diseases and disorders in 183 countries and regions. The efficacy of TCM treatment has gradually been proven by scientific methods. He hoped that TCM&ACU-MOX could also benefit Polish. Liu Baoyan, President of WFAS addressing at the opening speech. 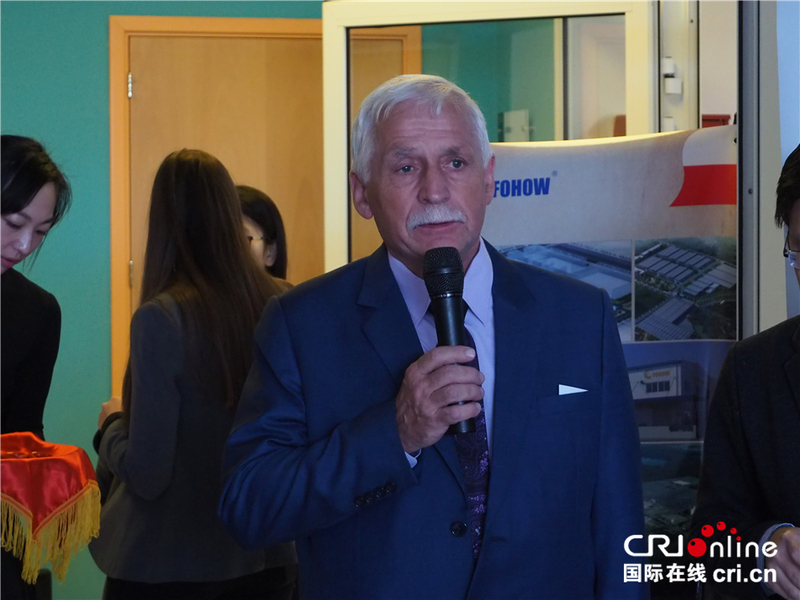 Secretary General of TNOiK, Wojciech Blonsky, Chairman of CATCM pointed out in his speech that " our Association is willing to cooperate with TCM institutions to support and welcome TCM ACU-MOB, a traditional and safe therapeutic approach with no side effects to benefit more Polish people's health. Wu Dong, Vice-president of CACMS, Malek Chalmers, Chairman of Polish Society of TCM (PSTCM), Han Xinzhong, President of Confucius Institute of Krakow, Maciej, Curator of Polish Pacific Asia Museum, Zhang Zhihua, general manager of Beijing Yong Ren Tang European Holdings Limited attended the opening ceremony of "Exhibition of TCM acupuncture-moxibustion" Intangible Cultural Heritage of Humanity and delivered a speech. Yang Jinsheng, Cashier of WAFS and Principal of the Program of Intangible Cultural Heritage of Humanity under CAAM explained in the aspects of "the history of ACU-MOX, meridians and acupuncture points, acupuncture techniques and its development at home and abroad", enabling more people to know , to believe, to use, to advertise ACU-MOX. Yang Jinsheng, Cashier of WFAS, explaining the exhibition to Polish people interested in TCM&ACU-MOX. At the beginning of the activity, He Xiijing, Martial Arts Coach of Polish National Team performed Long Fist, martial arts and Tai Chi Fan. Three experts of the Lecture Hall of Health Preservation - "Impression of TCM" - did great lectures. Lectures of Health Preservation and Harmonization by Liu Baoyan, President of WFAS, TCM culture and the Way of Health of Preservation by Pro. Yang Jinsheng, Cashier of WFAS and Skills and Practices of Health Preservation through Acupuncture and moxibustion by Pro. 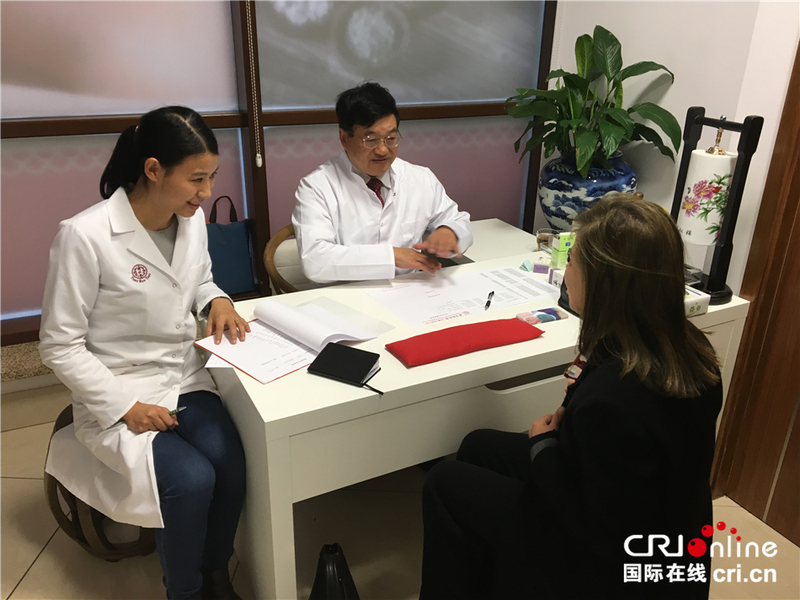 Wu Zhongqi from Hospital of Acupuncture and Moxibustion, CACMS were very popular among college students and Polish experts in TCM acupuncture and moxibustion. They communicated and discussed together after the lecture. In order to better implement the international cooperation projects launched by State Administration of Traditional Chinese Medicine, WFAS, CACMS and Confucius Institute of Krakow signed a cooperation agreement to better develop extensive cooperation in the fields of communication and promotion of TCM culture in central and eastern Europe and TCM Education and training. 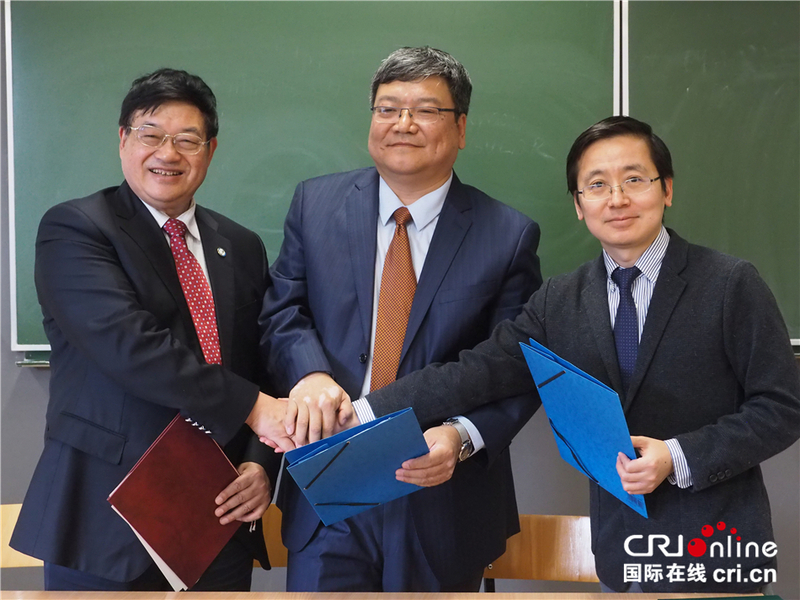 WFAS and Polish Confucius Institute signing strategic cooperation agreement, Liu Baoyan (left), President of WFAS, Wu Dong (middle), Vice-president of CACMS and Han Xinzhong (right), President of Confucius Institute. 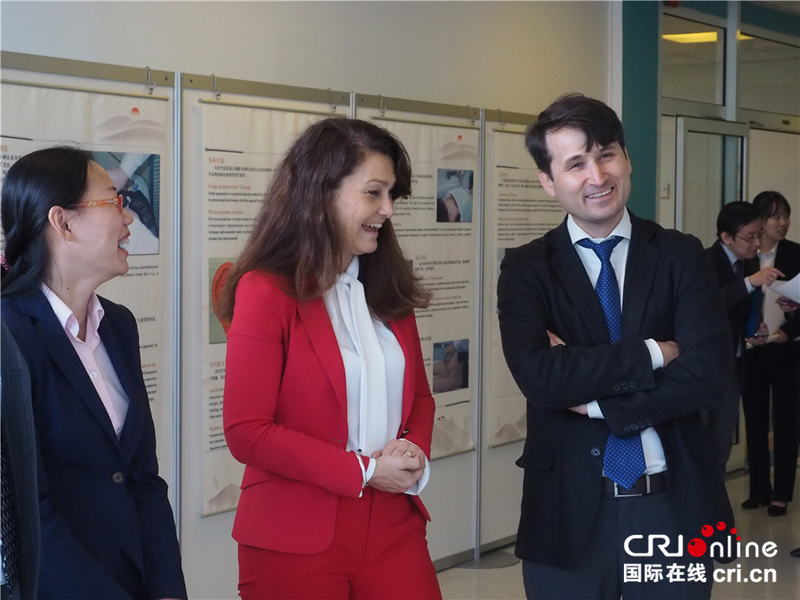 During the Tour, experts from the delegation went to Chinese Embassy in Poland, First and Second Stores of Beijing Tong Ren Tang for free clinic. Argentinean Ambassadors to Poland, Croatian Ambassadors to Poland all came. WFAS B&R tour of acupuncture-moxibustion is one of the brand activities held by WFAS. Appropriate techniques with remarkable clinical efficacies at home and abroad will be selected and promoted to acupuncture-moxibustion practitioners at home and abroad by means of spot presentation. Activities in this form will achieve greater and more direct influence than academic reports. From 2010 to 2017, more than 10 tours have been successfully held.